Is there really a best time of the day to post on Instagram so your photos and videos get more views, likes, and comments? Figuring this out can be a little bit tricky. First of all, since Instagram is primarily accessed via a mobile device, users can take a quick glance at their Instagram feed anytime they want from almost anywhere. Posting, viewing, and interaction habits tend to be quite different on Instagram compared to other social networks, making it slightly harder to pinpoint when users are most active. Oh, and there's one other huge thing that Instagram recently introduced. Remember back when Instagram posts were shown in chronological order? That's certainly not the case anymore. Interest: Posts featuring content a user has previously shown interest will appear more often at the top of the feed. Recency: More recent posts get priority ranking than posts that are days or weeks old. Relationship: Posts from friends, family members and users with higher overall past interactions will show up closer to the top of the feed. Post more frequently rather than less frequently. More frequent posting means more recently shown posts. Post specifically at peak engagement times of the day or week. If your post was recently made when users are typically more active, it's more likely it'll be seen. Thursday at 5:00 a.m., 11:00 a.m. and between 3:00 to 4:00 p.m. Overall engagement is highest between 9:00 a.m. and 6:00 p.m. on weekdays. Weekends also see higher engagement during the day until they begin to taper off around 1:00 or 2:00 p.m. The best day of the week to post on Instagram is Thursday while Sunday sees the least engagement. SproutSocial's report is the most up-to-date one that we have, but many others that have been conducted in the past might as well still be relevant today. Any time on Monday or Thursday — except for the hour between 3:00 p.m. and 4:00 p.m. This totally contradicts SproutSocial's findings, suggesting that either the trend in Instagram usage has changed over the past two years or that there really isn't a best time to post. We suggest experimenting with these times yourself. Hubspot also found that video posts apparently did best when they were posted at night between the hours of 9:00 p.m. and 8:00 a.m. Other specific times that were shown to work well for some posters included 2:00 a.m., 5:00 p.m., and 7:00 p.m. on Wednesdays. 12:00 a.m., 3:00 p.m., and 4:00 p.m.
Wednesday, Thursday, and Friday were the most popular days to post. Posting between the hours of 6:00 a.m. and 12:00 p.m. during off hours when post volume is low could work to your advantage because users are still browsing their feeds. 2:00 a.m. and 5:00 p.m.
Wednesday was the best day to post (followed by Thursday). Engagement dropped significantly at 9:00 a.m. and 6:00 p.m.
Lastly, we have a 2015 report from TrackMaven. By analyzing Instagram engagement habits on posts made by Fortune 500 companies in 2013, the company found that it didn't seem to matter what time the posts showed up on Instagram. Users engaged regardless of the time they were posted. Choosing specific times to post didn't make much of a difference in engagement results. Despite all these different findings, you won't know exactly what works best until you start experimenting and keeping track of engagement results. 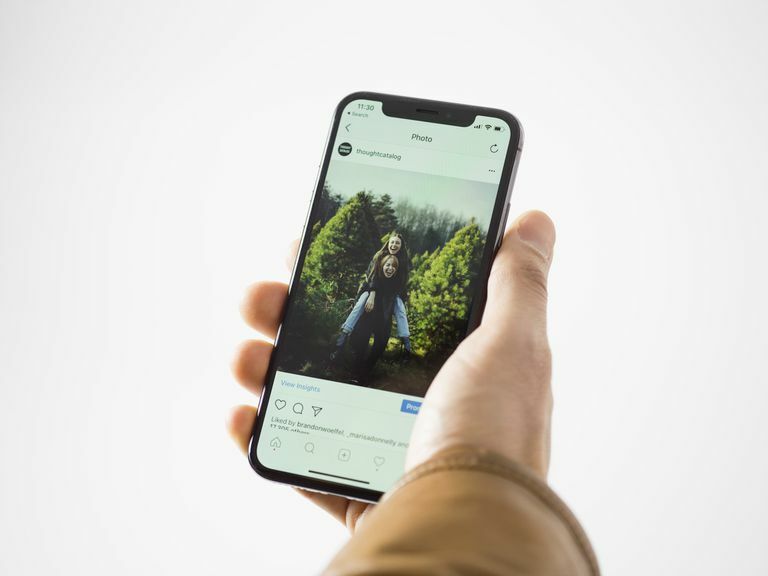 Again, it all depends on your target audience and how you're using Instagram to connect with your followers. 5:00 a.m. This time showed surprisingly good results in SproutSocial's report, likely because posts this early catch that early morning crowd who check their phone right when they get up. 7:00 a.m. - 9:00 a.m. Morning hours are a good time to post because everyone is just waking up. Most people can't resist checking their phones to see what they missed while they were asleep. After 9:00 a.m., however, you may see a bit of a drop in engagement due to regular work and school hours. 11:00 a.m. - 2:00 p.m. Around the lunch hour is when people get a break to do what they want; that often includes checking social media. 3:00 p.m. - 4:00 p.m. Everyone just wants to go home from work or school already. They're probably checking their phones to help pass the time. 5:00 p.m. - 7:00 p.m. After school and work, people get the chance to relax. People may start checking their phones while they sit in transit or in front of the TV just before dinnertime. Just be aware that you may be better off posting earlier around 5:00 p.m. or later at 7:00 p.m. rather than right in the middle (6:00 p.m.) when a lot of people are commuting home from work or eating dinner. To figure out your own best time to post on Instagram, make sure you take a look at these major things that can either make or break the engagement you get out of your posts. Your target follower demographics: Adults who work the typical 9-to-5 job might be more likely to look at Instagram in the morning whereas college kids who stay out late and pull all-nighters might be slightly more active on Instagram during those off hours. Identifying your target audience can be a first step toward figuring out what time of day they like to check Instagram. Time zone differences: If you've got followers or a target audience from all over the world, then posting at specific times of day may not get you the same results as if you had followers who mostly all live around the same time zone. For example, if most of your followers are from North America living in the typical North American time zones of Pacific (PST), Mountain (MST), Central (CST), and Eastern (EST), you could start experimenting with starting to post on Instagram around 7 a.m. EST and stopping around 9 p.m. PST (or 12 a.m. EST). Engagement patterns you've noticed: Make sure you pay close attention to any increases in interaction when you post at certain times of day. No matter what the research says or what the experts tell you about optimal times and days to post, what ultimately matters is the behavior of your own followers. Your business profile insights: If you have a business profile, you'll have access to analytics on impressions, reach, website clicks, profile views, followers post engagement, stories and more. This can provide you with valuable hints and information about what times are optimal to post for your audience. A good Instagram scheduling tool: Instead of trying to remember to post at manually specific times, consider using a social media management tool like Buffer to schedule your posts all at once.